For the last several weeks I’ve had the chance to change my life around with Telus’ help. Telus has great customer service, and this just showed me how they go above and beyond. I received the Samsung Gear Fit smart watch and now I get to share what I discovered with you! The Samsung Gear Fit is big on style and not as ‘function heavy’ as other smart watches: no camera, no remote control, no storage for music. It’s something of a cross between a fitness device and a smart watch. You do need a compatible Samsung device in order to use the Gear Fit, of which there are currently 18 including the new Galaxy S5. If you do have a Samsung device, I have an S4, then the Gear Fit is a beautiful companion to it. The Samsung Gear Fit has a curved 1.85-inch screen that is beautiful. There are wallpapers to pick from for the home screen and you can also select the screen layout (horizontal/vertical display) … very nice! Good to note is how incredibly comfortable the Gear Fit feels; I have a small wrist so I really appreciate this. 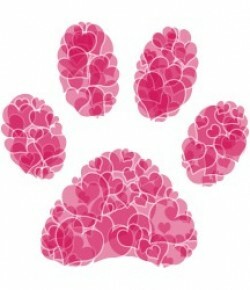 The wristband is hypoallergenic and is also adjustable with a two-prong buckle. Overall, the wristband offers a very comfortable fit. It’s also water resistant (up to one metre for 30 minutes), and it’s even dust resistant! Interesting to note is that the screen isn’t always on (it saves the battery), you can “wake it up” by turning your wrist … or what I found easiest is to just press the button. You get about three days of battery, and to charge it you just clip it onto the charger. Setting up the Gear Fit is so easy. I did attend a “how-to” meeting at the Telus store (I love them!) but in all honesty I really didn’t have to go because I had already set up my Gear Fit. You basically pair it with Samsung’s fitness app (S Health) and enter your personal details … the watch and phone will then sync all that data when in Bluetooth range. Easy! The Samsung Gear Fit as an exercise companion is awesome! It has a heart rate monitor, a pedometer, a sleep tracker, notifications (emails, SMS, calls, etc), ‘quick reply’ messages, Fine My Phone, and a media controller (music) … it’s mostly a notification device; which makes much more sense for a watch. I love the sleek look of the Samsung Gear Fit; it’s a smart watch that has all the essential features that you might need with great fitness capabilities; providing a great companion to your Samsung phone. 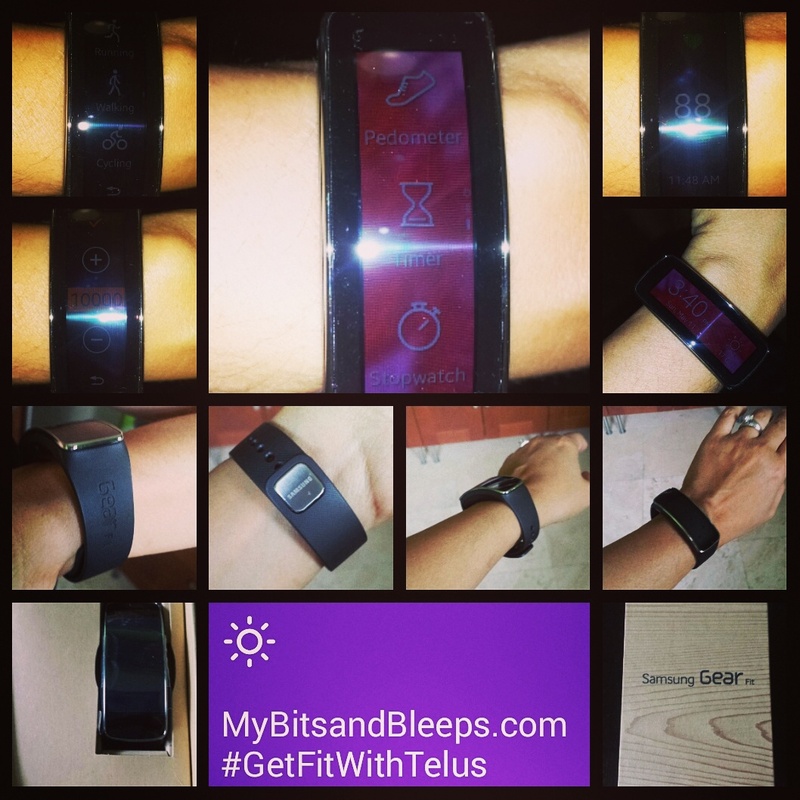 Telus truly is helping me to get fit with the Samsung Gear Fit. This smart watch has a lot to offer! What I didn’t like was the safety factor in the wrist band. While the wrist band does have a two-prong buckle, it doesn’t stay securely on! I’ve had it unlatch often so I’ve learned that I have to constantly ensure that I still have the watch on my wrist. Thank you Telus for helping get back on track with my health! Disclosure: TELUS provided me the above item. I have not been financially compensated in any way. I am not obliged to give a positive review. Any opinion(s) expressed is my own, and is given freely. Any information acquired from TELUS’s various social media formats has been authorized, and has been done so as to facilitate my post/review. I hope they listen to that comment about the latch. That’s an issue. up this very good job!